It is with enthusiasm (“Con Brio !”) that grapes are grown and wine is produced at Brio Cellars. 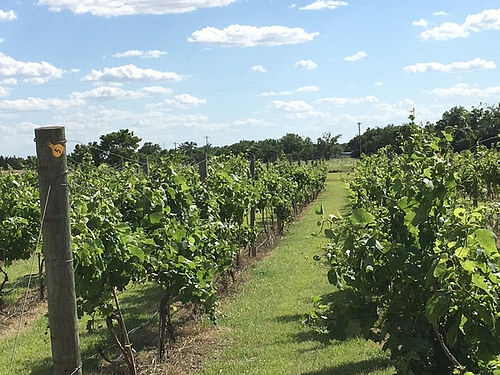 In 2008 a vineyard was carved from a century old Oklahoma family farm, and the excitement has been growing ever since. 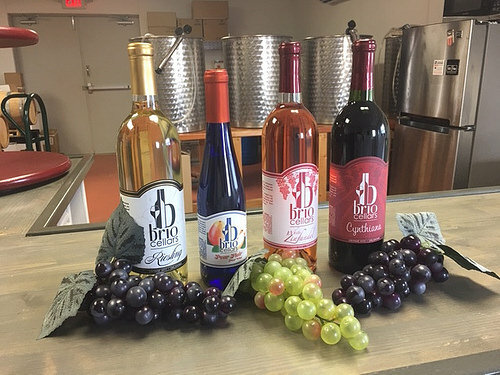 Come visit us and enjoy delicious wines made from grapes we grow or grapes harvested from other Oklahoma vineyards. From Kingfisher: From the intersection of Hwy 81 and Hwy 33, travel E. on Hwy 33 for 8.5 mi. Turn N. on NS 2930 Rd. Drive .25 mi. and turn R. onto EW0800. The destination will be on the left.